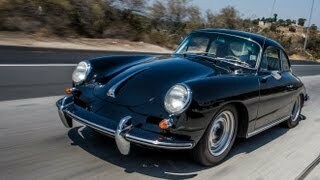 One edition of Jerry Seinfeld’s current show sees the entertainer welcome not one but two stars at the same time: Jay Leno – and a Porsche 356/2. Comedians in Cars getting Coffee. That’s the title of Jerry Seinfeld’s current show – and at the same time it’s also the concept of the straightforward but ingenious web format. Seinfeld takes a spin in and around Los Angeles with his comedy colleagues, which ends with a visit to a café. Alongside the humorous dialogue, the focus is also on their mode of transport. At the beginning of every episode, Seinfeld introduces a different historic vehicle. One episode deserves special mention for a number of reasons: comedy superstar Jerry Seinfeld meets late-night legend Jay Leno. Apart from their long-standing friendship, they are also united by a shared passion for motor vehicles. Leno is famous internationally as an amateur collector of vintage cars, current sports cars and motorcycles. Seinfeld is a self-confessed Porsche fan and is reputed to own one of the world’s largest Porsche collections. It’s therefore no surprise that the choice of vehicle left the two experts visibly thrilled: a Porsche 356/2 from 1949. 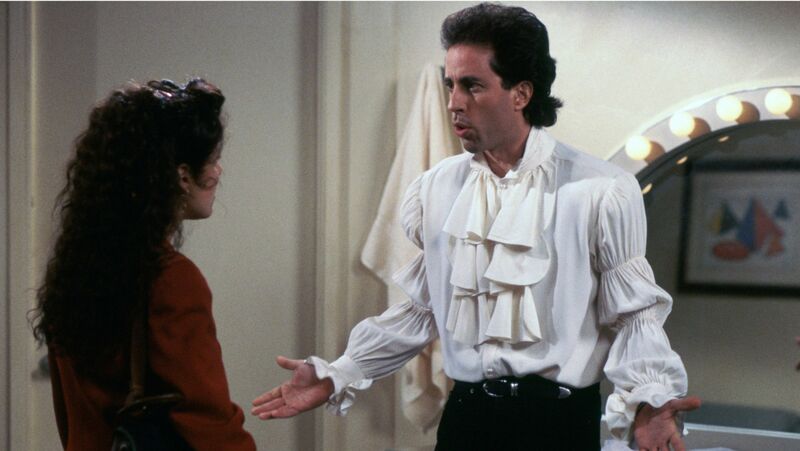 “Hand-built in Gmund, everything’s original,” Seinfeld remarks, pointing to the engraving inside the car. It’s number 40. Ferry Porsche and his team produced the coupé 65 years ago in a limited production series of 52 models. 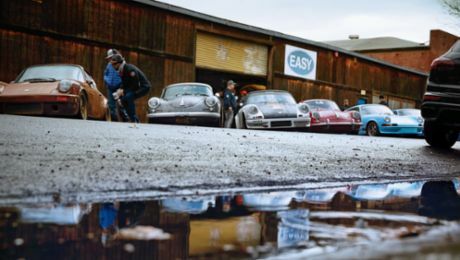 During their trip through California, Seinfeld and Leno experience the driving sensation of the classic Porsche and revel in nostalgia as they reminisce about the beginnings of their careers. 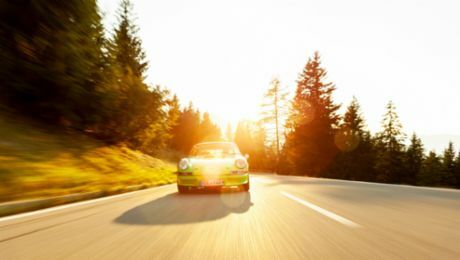 The members of the R Gruppe in California have been indulging their passion for Porsche for twenty years.